We are working to make our site better for our customers. This section will come back soon. Noni Nitro™ Tropical Lotion Today! Experience the incredible Noni Nitro™ difference for yourself! 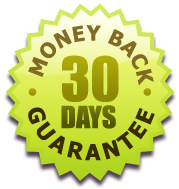 Sunland Source™ offers a 30 day,100% money-back guarantee for retail customers. If, for any reason, you are not satisfied with your purchase, return it for a full refund. Order now, you have nothing to lose!